The last thing anyone wants to do at the end of a long day is spend time slogging their way through traffic. Cadillac is trying to make that experience just a little bit more pleasant by offering a driver’s seat with 22 available adjustments. 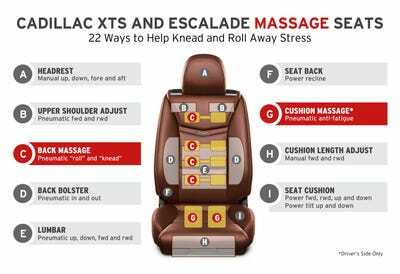 “Many Americans have the common misconception that massage is just a luxurious way to relax,” said National Certification Board for Therapeutic Massage & Bodywork board chair Dr. Leena S. Guptha in a statement provided by Cadillac. 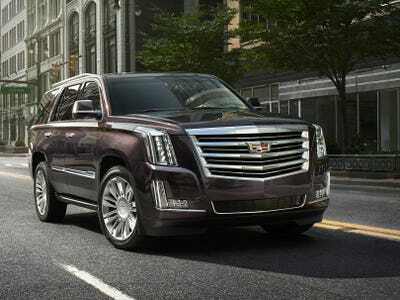 he massage function can adjusted via Caddy’s infotainment screen, as well as through seat-mounted controls. The adjustable massage seats are available on Cadillac’s 2015 XTS luxury sedan and Escalade SUV as an optional feature.